The most traditional way to catch up with friends and family is to give them a call. Our two decades of telecom experience has allowed us to build relationships with the top global telecom operators to ensure you have the best calling experience at the best rate possible. We don’t believe in options that just let you down in various ways, especially call quality. Our international calling service is something that you can rely on when you need to make the important call to check on your Mother when she’s ill or you just want to wish your Sister a happy birthday. VIP is there for you to make you feel closer to home! Our handy feature, QuickDial, takes out all the difficulty when making international calls. For any regular international caller, you know all about what could go wrong since it only takes 1 misdialed digit to ruin the whole process. First, you have to dial an access number which isn’t too hard. But then you may have to enter a PIN to authenticate your account, especially if you’re using a calling card product. Only then do you get the opportunity to dial a really long international number that can be hard to remember, especially when you are calling several different contacts overseas. Making international calls should never be this difficult! We had to make this process as easy as possible so you can worry about your conversation rather than entering all the digits correctly. We allow you to save up to 9 international contacts on your VIP account - each contact will be assigned its own QuickDial number. Upon dialing the QuickDial number, you connect with our service and we dial the international number for you. All you have to do is dial one local number to connect with a contact! Just save the QuickDial numbers in your phone’s address book (along with the contact name) and you have the most streamline way of making international calls with your VIP account. It’s exactly what is sounds like: a direct call from Ghana to your phone in the U.S. With a special partnership with Vodafone Ghana, we were able to launch the service, Direct Line Ghana, back in 2011. So how does it work exactly? You get your own local number in Ghana (for free) in which your friends, family, colleagues, business partners, etc can use to reach you directly on a number of your choice - either your mobile, home or office phone. The best thing is it’s free for the caller in Ghana if they are calling from a phone on the Vodafone network; if the call is made from any other network in Ghana, it’s simply charged as a local call. 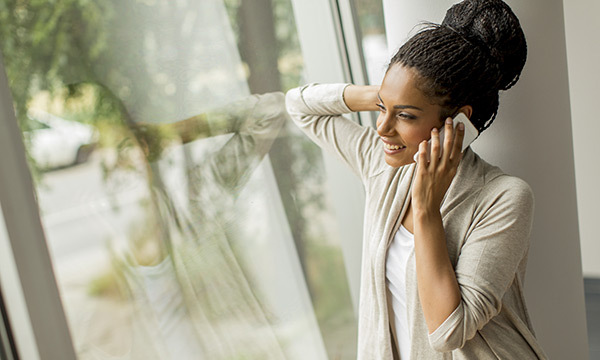 When the call connects to your phone in the U.S., you are only charged 9.9¢ per minute from your VIP account balance, which is more than half off the rate when calling to Ghana. By simply coordinating new calling patterns with your contacts, you could save a lot and always been in touch with the most important people in your world. Our customers have found several interesting ways to utilize our services together with one another. One common technique is calling and letting it ring a certain amount of times to signal you’re the one calling; the person on the other end will then dial your Direct Line Ghana number as if they are making a local call and will connect directly with you. Instead of paying more than 20 cents per minute, the Direct Line Ghana call is under 10 cents (per minute)! However, some customers rather let the call connect long enough to advise their friend or family to call them on their Direct Line Ghana number which will take less than 1 minute. What would you do if you tried calling your Mom only to find out she’s run out of airtime and cannot receive any calls? You would never let this happen in the first place if you’re using VIP’s Mobile Recharge to top up her mobile phone with airtime. All you need is the number and our system will detect what Ghanian network matches the number. There is no processing fee and the recharge is received in minutes (if not instantly). Sending airtime to Ghana is also a great way to surprise your loved ones and put a smile on their face. You will receive an SMS notification when the top up is successful. You can probably expect a call from your Mom on your Direct Line Ghana number so she can thank you for the airtime! Wouldn’t it be awesome if you could use your VIP account when traveling back to Ghana? Calling Ghana is just as easy as making calls from Ghana. This is just one less thing to worry about when you’re organizing and planning a trip overseas. Your family and friends back in the U.S. can easily be reached so you can let them know you arrived safely or just want to hear the comfort of their voice. Maybe there’s an exciting story that can’t wait until you get back from the trip. Whatever the case may be, we got you covered in the U.S., Ghana and over 30 other countries worldwide with our international access numbers. These 5 ways can make a huge difference on how you keep in touch with your friends and family in Ghana. Direct Line Ghana is probably most unique method since your contacts in Ghana can just reach you directly and the call is free for them. It doesn’t get any easier than that for them and very cost effective for you! When combined with Mobile Recharge, your family will always have mobile airtime to reach you on your direct line at any time. What’s your favorite way to stay in touch with your contacts in Ghana?